Electric vans have compelling things in their favour, and big reasons why they are not going to be suitable for everyone. These are the main points to consider when assessing whether a plug-in van is right for you. Electric vans might not be as familiar to the public as electric cars, but there are more coming onto the market all the time, so they are only going to grow in popularity. The lack of tailpipe emissions, the quiet driving experience and the ability to ‘refuel’ for a fraction of the cost of a diesel or petrol van are appealing factors. However, the limited range, the need to have somewhere to charge and the inability to carry as much are all things that could prevent businesses from going electric. These are the questions you need to ask when weighing up the pluses and minuses. What electric vans are available in the UK? Currently, only a few manufacturers in the UK offer a fully electric van as part of their range. 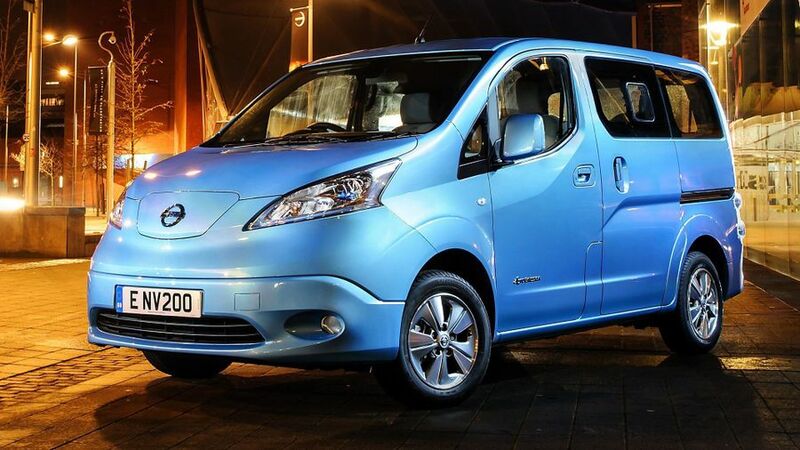 Given Nissan’s experience with electric cars and the Leaf, it's no surprise that it also offers a battery-powered van in the form of the Nissan e-NV200, which is a small panel van. The Renault Renault Kangoo ZE33 also makes use of car technology and is powered by the same system as the newest version of the Renault Zoe. The electric motor in the mid-sized Kangoo isn't quite as powerful as the Zoe's, but it will still go as far on a single charge. 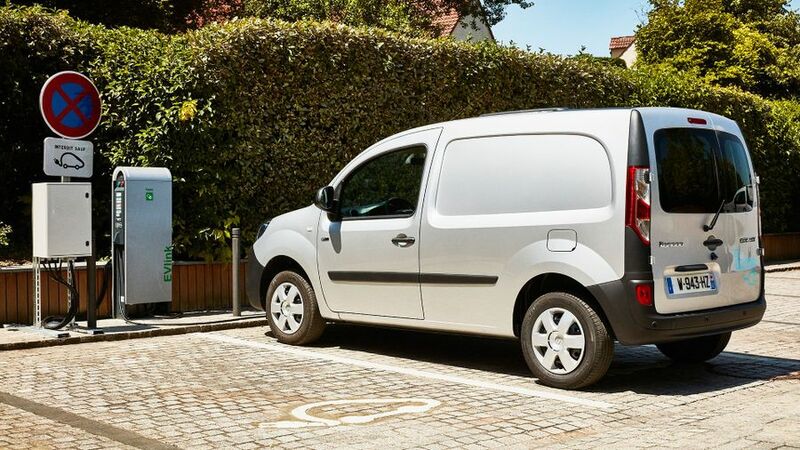 The medium-sized Citroen Berlingo and Peugeot Partner are essentially the same as one another in diesel-powered form, so it's no surprise that the electric versions are identical, too. They come in standard and longer 'L2' form and offer the added bonus of three seats across the front – made possible by the lack of gear lever and parking brake on the cabin floor. 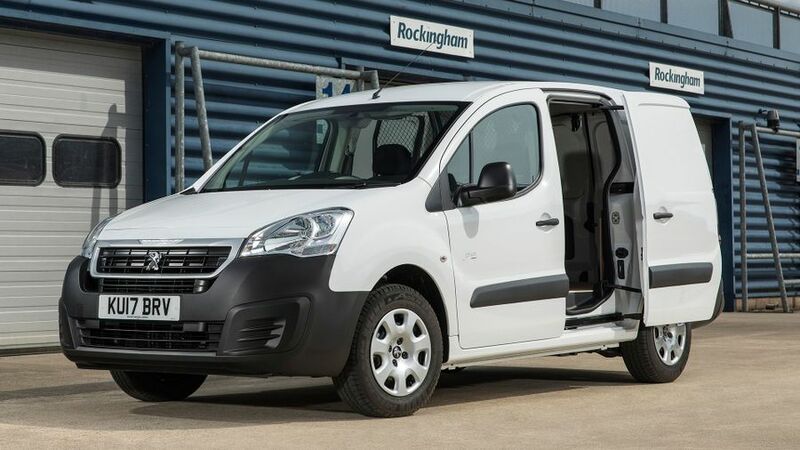 Several other manufacturers are set to offer an electric powered van, with LDV due to offer the large EV80 in long wheelbase and chassis cab format, while Renault is releasing a larger Master with an electric powertrain. These large vans are set to go on sale at the end of 2017. How far can an electric van go between charges? The big thing stopping the wider uptake of electric vehicles is 'range anxiety' – the fear of running out of charge and not being able to simply pop into a filling station and top up to get home. Most of the electric vans on sale in the UK have a range around 100-120 miles, according to the official test programme. The Peugeot Partner, Citroen Berlingo and Nissan e-NV200 all have an official range of 106 miles, for example. However, their manufacturers say that a range of around 80 miles is more realistic in everyday use, when you factor in the impact of the weather, air-conditioning, carrying a heavy load and so on. The Kangoo ZE33 has moved the game on, as the electric motor and battery from the latest Zoe have an official range of 170 miles. As with the other vans, you're not likely to go this far in everyday use, but Renault says that the Kangoo is good for around 124 miles in the real world. How do you charge an electric van? 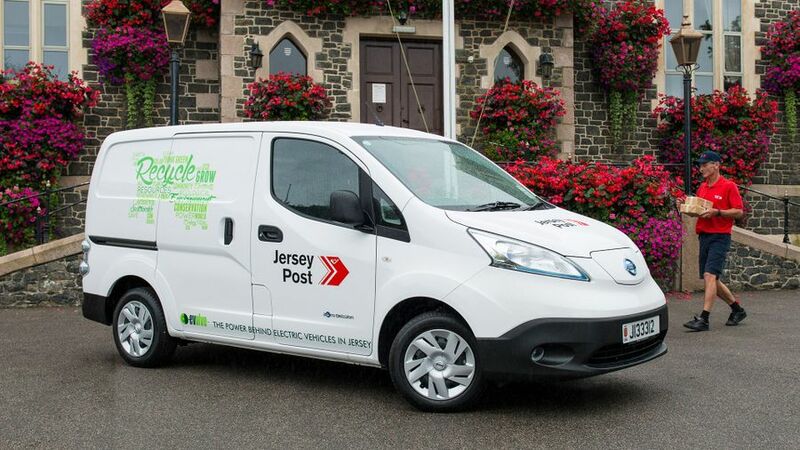 Electric vans can be charged in the same way as electric cars, which means that they can use the same public charging points and home plug sockets as passenger vehicles. The easiest way to charge an electric van regularly is to have a dedicated charging point at home or at work. These fast-charge 'Type 2' sockets are generally wall mounted or freestanding posts, and will fully charge a car’s battery from empty in around eight hours. 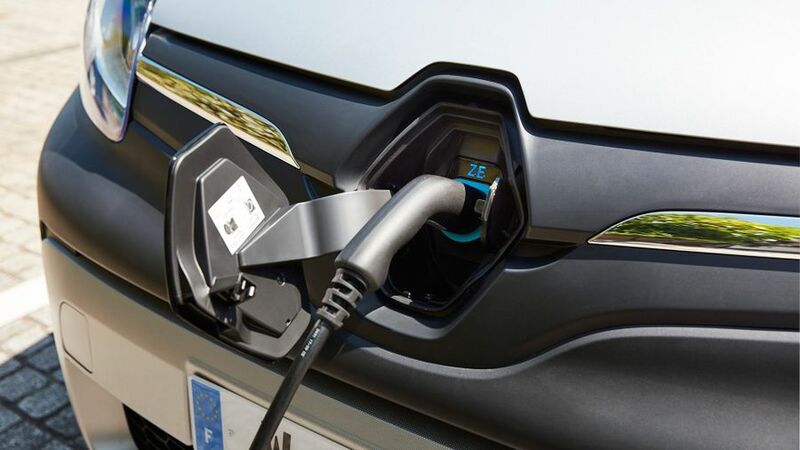 If a quick boost of energy is needed, then a 'rapid charging' point will be able to recharge most van batteries from empty to 80% in just 30 minutes. These points are available for installation on private property, but they are also found at dealerships, service stations and at some commercial sites across the country. If none of these are available, then you can plug a connect the van to the mains using a standard three-point plug – just as you would with a mobile phone – and the battery will be fully charged after 12 hours from flat. For many users, the simplest option will be to leave the van on charge overnight. The final point to remember is that you'll rarely be charging the battery from completely flat, so in everyday use, it won't take as long to charge as these figures suggest. How much can you carry in an electric van? Despite the weight of an electric powertrain (the battery and motor), most small electric vans have a similar payload (maximum carrying capacity) to versions with a conventional engine. The Renault Kangoo ZE33, for example, can carry 650kg in both sizes, which matches the conventionally powered equivalent. This does fall short of the 800kg payload of the Kangoo Maxi, though. The 'L1' versions Citroen Berlingo and Peugeot Partner Electric have a payload of 636kg, which is not far off the 651kg of some versions of the 1.6-litre diesel equivalent. However, the electric version has the bonus of being able to fit a third passenger in, because there's no handbrake or gear lever in the middle of the cabin. As the batteries lie flat under the loading bay, they don’t eat into the amount of room inside the major electric vans. However, just as carrying a full load will have a big impact on the fuel economy of a petrol or diesel van, it will also cause the battery to work harder and therefore reduce the range on an electric van. How much do electric vans cost? 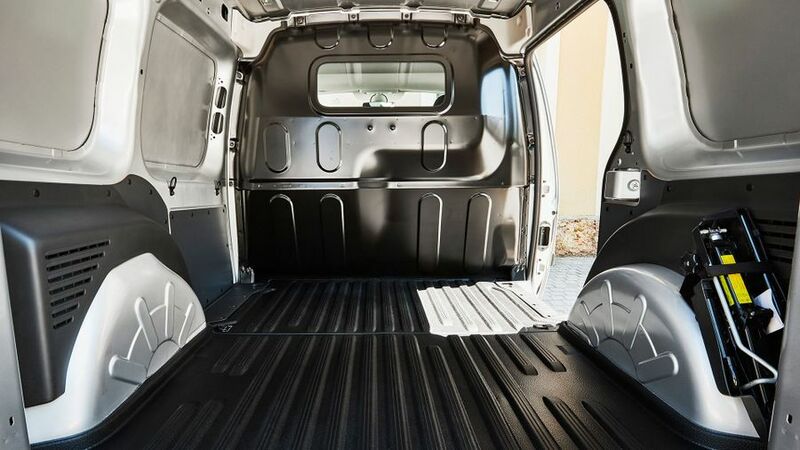 Electric vans are often fairly high up in a manufacturer's range in terms of price, but they generally come with lots of equipment to balance that out, so you are essentially buying a high-spec model rather than just paying a premium for electric technology. 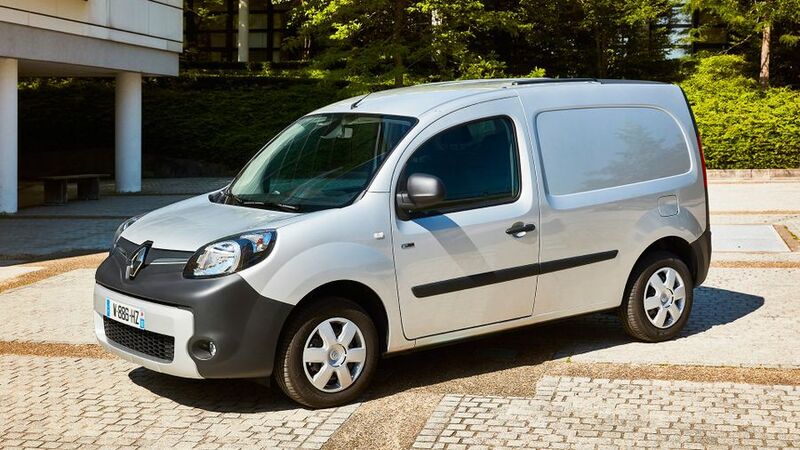 There are sometimes oddities to watch out for – for example, Renault will allow you to lease the battery on the Kangoo ZE33, and buy the vehicle separately, should you wish. You can also buy the van and battery together, though, so you are not tied to the leasing scheme, if it doesn’t suit. The big incentive to go electric, though, comes in the form of a plug-in van grant, which seriously reduces the price you pay. Assuming that the van emits less than 75g/km of CO2 and can travel at least 16 miles without any CO2 emissions at all, the government will pay for 20% of the purchase price, up to a maximum of £8000. The discount is applied at the point of purchase, and has been confirmed as lasting up until March 2018 or until 5000 vans have been bought through the scheme.